This is the NBA's officially licensed products. This poker set is sure to be one of the hottest items for poker players. 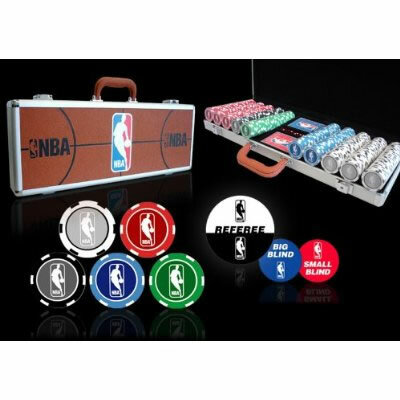 This set includes the following: 500 assorted 11.5g chips, 2 full decks of officially licensed playing cards, "Referee" Dealer, "Big Blind" and "Small Blind" Buttons, 5 translucent red dice and a basketball leather wraped aluminum case.